Unfortunately it doesn’t look like winter and all this snow is leaving any time soon. It actually saddens me that I’m still doing winter related posts… But that’s Canadian winters for you. So since most of us just got a huge dump of snow, let’s go over some safety tips for snowblowers. Most of us wish for a snowblower this time of year, however they do carry their own set of hazards. 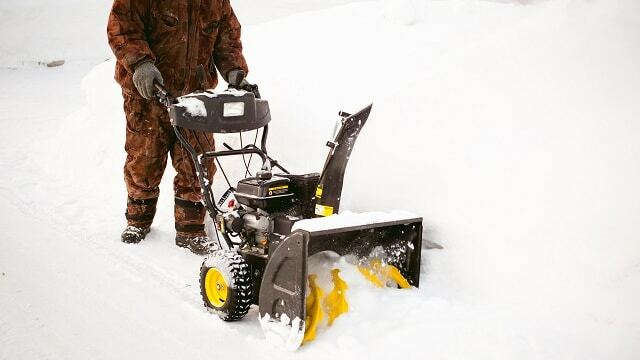 When using a snowblower even if you’re at home, you still need to gear up with your PPE. Proper footwear, gloves, ear protection and safety glasses are essential. You should also avoid loose clothing. If there is a clog in the auger or discharge chute, ALWAYS turn off the engine or, better yet, disconnect power before trying to remove. ALWAYS use a proper tool or stick to remove the clog, never use your hands. Always aim the discharge chute away from other people. You’re not just shooting out snow; rocks, twigs and other dangerous items can be mixed in. Be careful on hills and slopes; take your time. When it comes to starting and running your snowblower, watch out for hazards there too. Always start a gas blower outside, only refuel when the engine is off and cooled. For electrical blowers, use an extension cord rated for outdoors and be cautious of where the cord is at all times. Always keep the cord away from the auger. 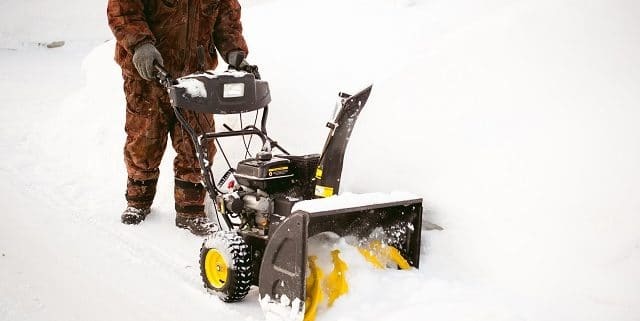 Snowblowers can be a lifesaver on time and your back when we get this much snow, if you’re fortunate enough to own one. Just make sure you exercise proper safety protocol while using them, to your lifesaver doesn’t become a safety hazard.